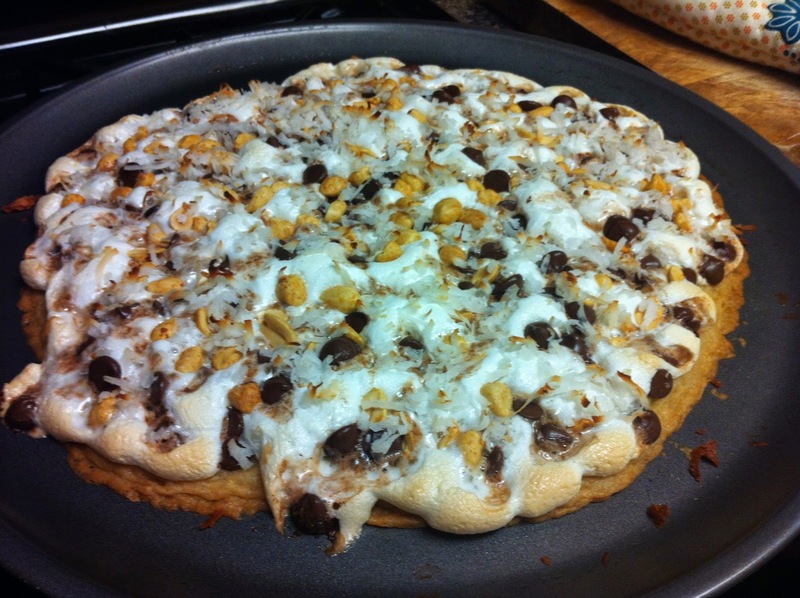 Grease a pizza pan, spread sugar cookie dough evenly and bake at 350 for 10 minutes. 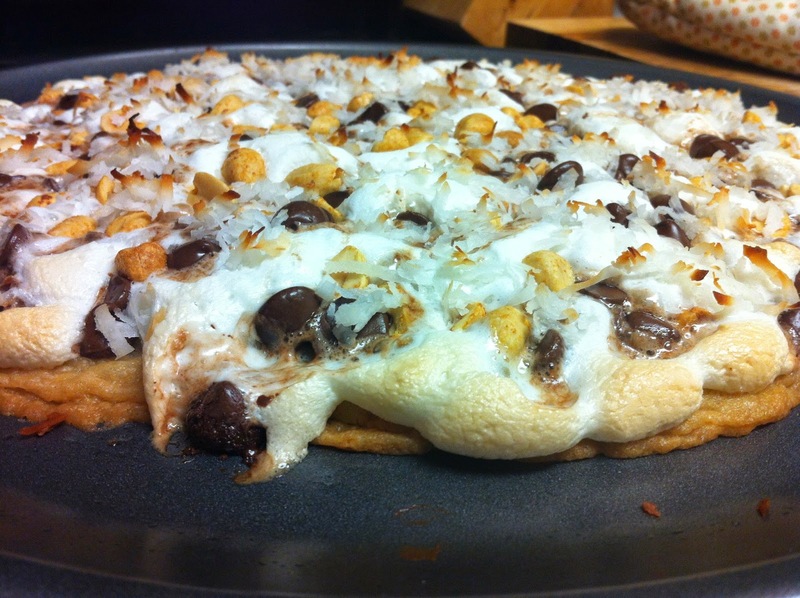 Add 3/4 cup marshmallows, 1/2 cup chocolate chips, 1/3 cup peanuts and sprinkle with coconut. Bake for another 5 minutes. Enjoy with a glass of cold milk!